BLACK FRIDAY DISCOUNTS FOR 2018!!! 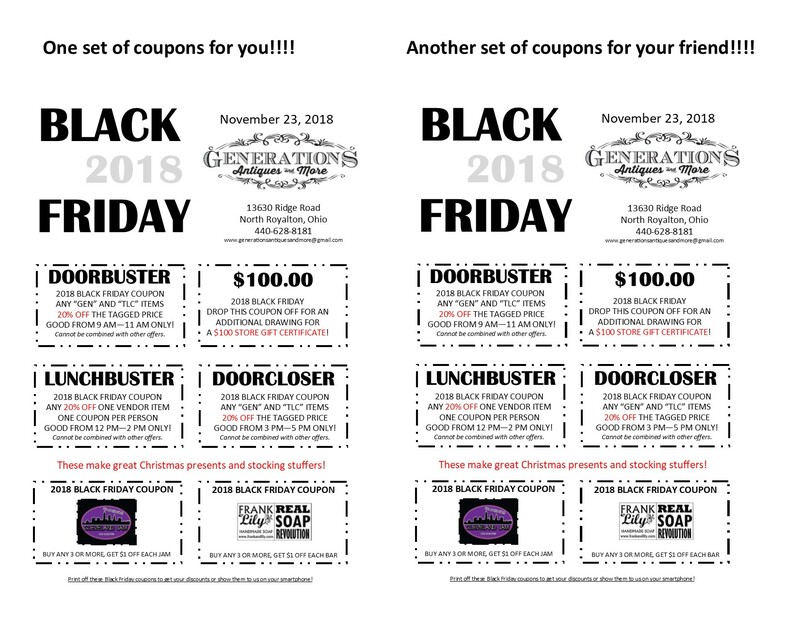 Download these coupons, print them off or get them on your smartphone! Bring them into the shop to get these savings. Sausage Gravy and Biscuits, Milk, Coffee and Orange Juice.